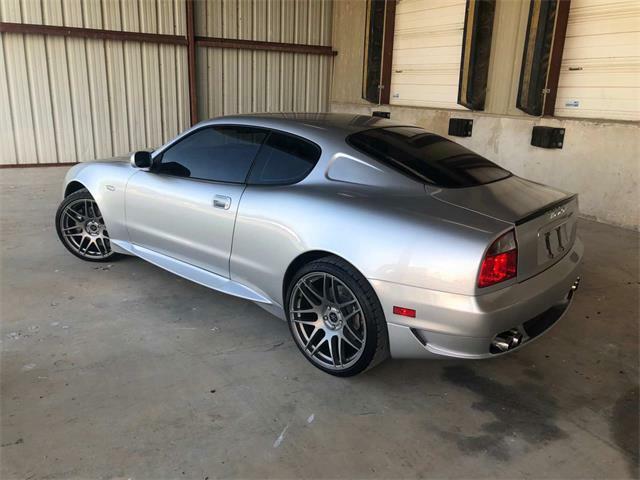 Enid, Oklahoma, doesn’t seem like the sort of place where you might unearth a rare and valuable coachbuilt Maserati convertible, but that is where this dusty “barn find” was discovered. 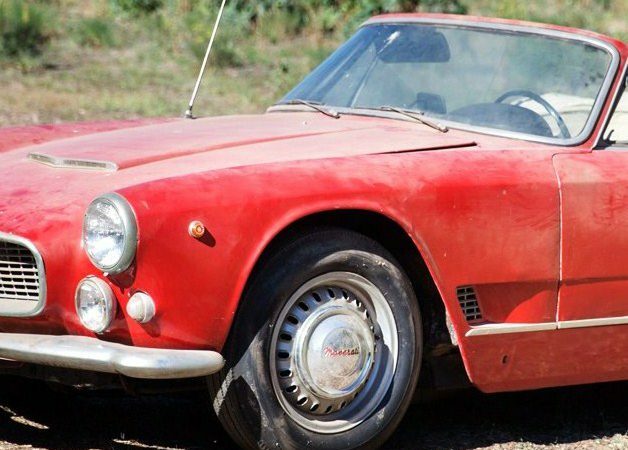 Enid, Oklahoma, doesn’t seem like the sort of place where you might unearth a rare and valuable coachbuilt Maserati convertible, but that is where this dusty “barn find” was discovered after at least 20 years stored inside a private garage. 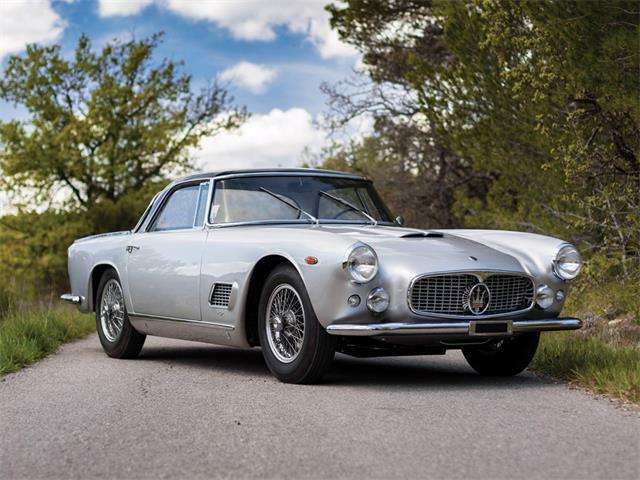 In as-found condition and still wearing British license plates, the 1962 Maserati 3500 GTi Vignale Spider will be auctioned during Gooding & Company’s sale January 29-30 in Scottsdale, Arizona. 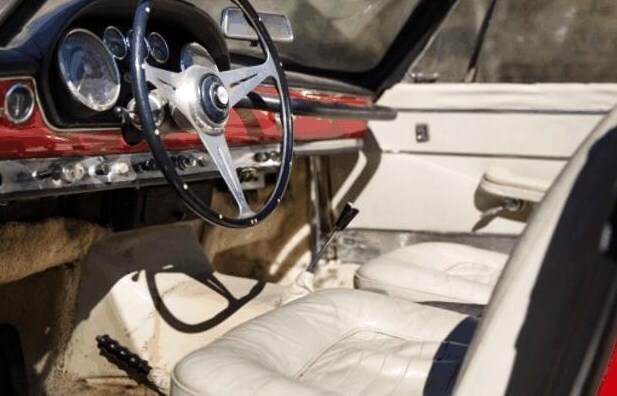 So-called barn finds have gained loads of admirers in recent years, and Gooding has turned up quite a few distressed relics that have sold for surprising amounts, sometimes for more than an equivalent car in restored condition. 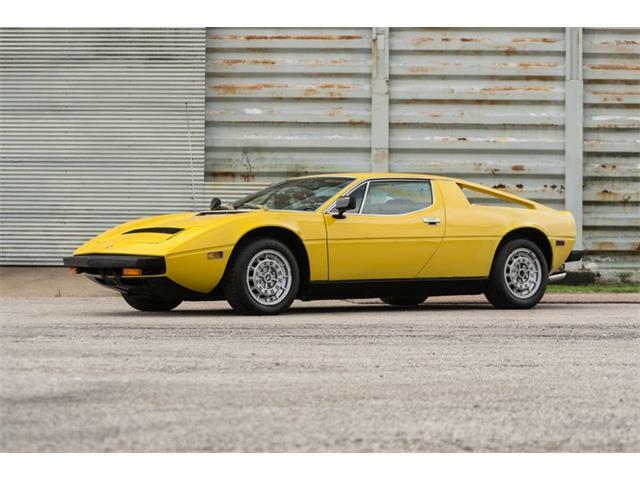 There’s romance and mystery connected with a desirable vintage car being rescued from long-term storage, and some of them have become the stuff of legend. 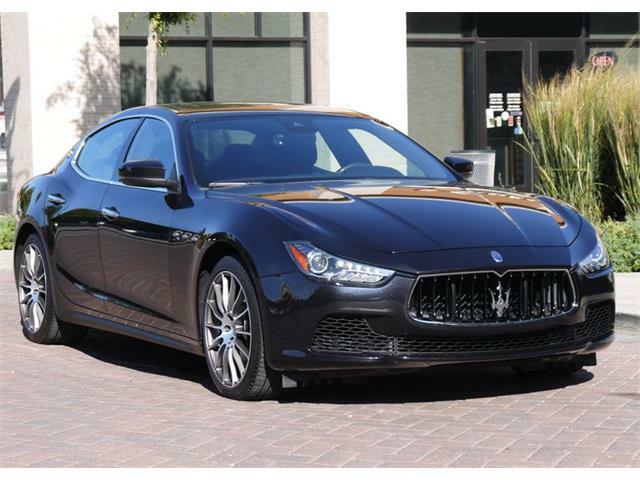 Gooding values the Maserati Spider at $525,000 to $575,000, which is quite a bit lower than Hagerty Price Guide’s valuation between $710,000 and $868,000, depending on condition and features. We’ll see whether barn-find fever pushes this car over the limit, as has happened in the past. Only 242 Vignale Spiders were built during their four-year production run, from 1960 to 1964, with this one special ordered by an Italian banker in early 1962, according to Gooding’s catalog description. 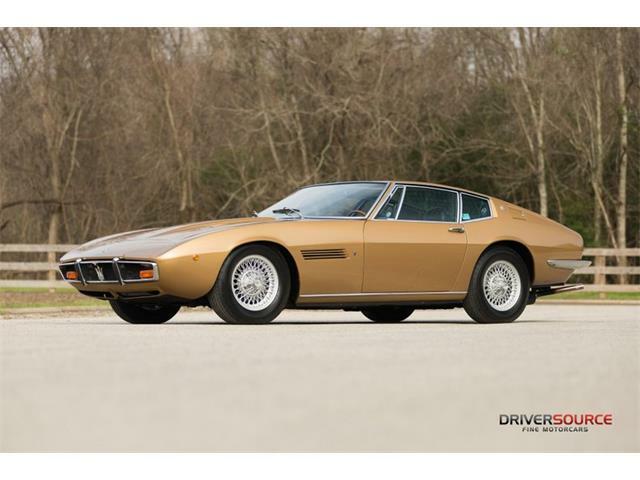 The Maserati’s known history shows it going through a small number of owners, shipped to England sometime in late 1966 or early 1967, then heading for America in the 1970s. 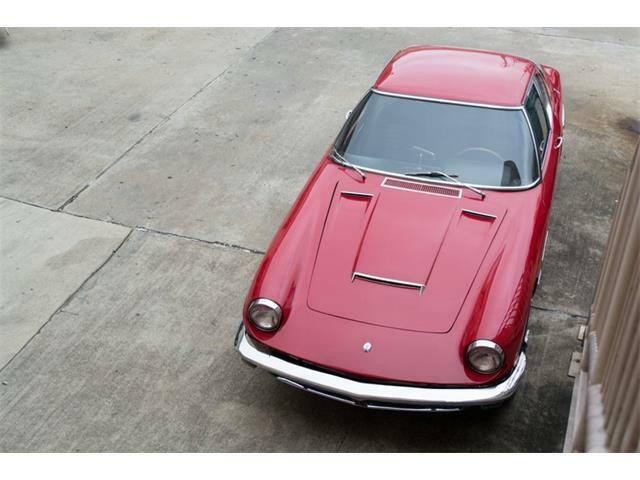 From there, the story gets murky until recently, when the beautiful red Spider with styling by Giovanni Michelotti was brought out into the sunlight once again, somewhere near Enid. 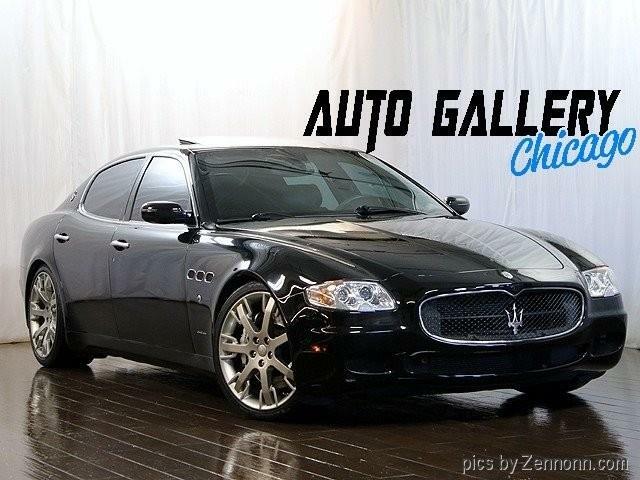 The low-mileage Maserati is mostly intact and original, although it is missing its factory hardtop. 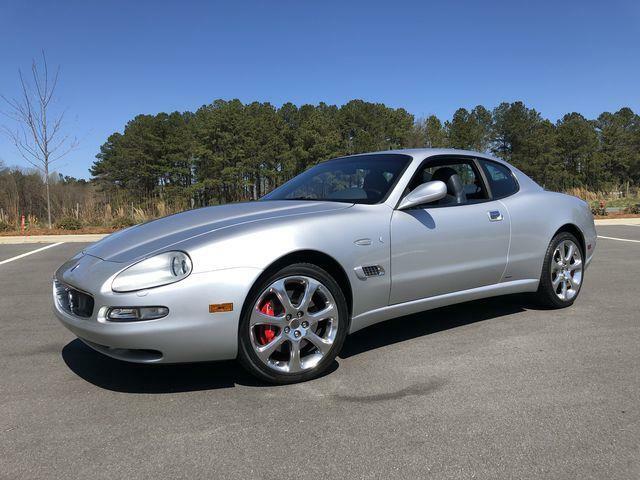 The 3.5-liter inline-six engine, rated at 235 horsepower, came from a different 3500 GTi, and the car apparently was repainted somewhere along the line. 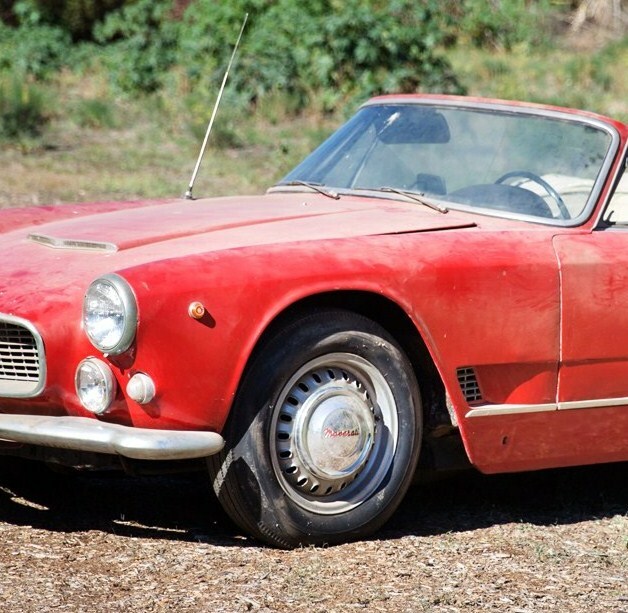 “This unrestored Vignale Spider is a very rare find and an ideal candidate for a concours-quality restoration,” Gooding says in its description. 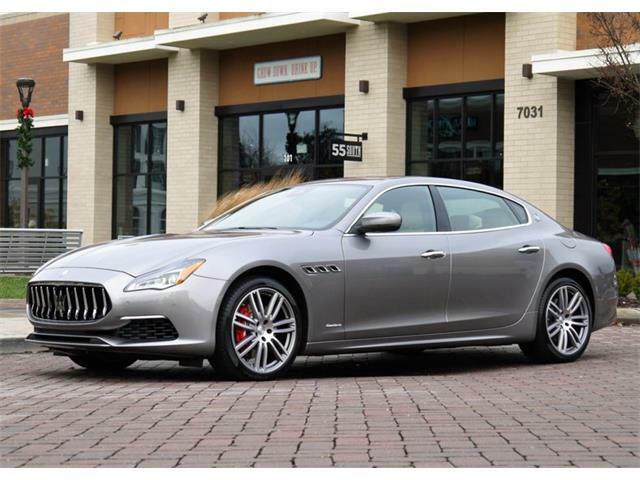 “Refinished in red and retaining much of its original upholstery, the Maserati appears to have been driven approximately 51,000 miles before being placed in long-term static storage. “Rare, glamorous, and capable of world-class performance, the late-production 3500 GTi Vignale Spider is certainly among the most desirable open sports cars of the early 1960s and a worthy rival to contemporary offerings from Aston Martin, Ferrari, and Mercedes-Benz. 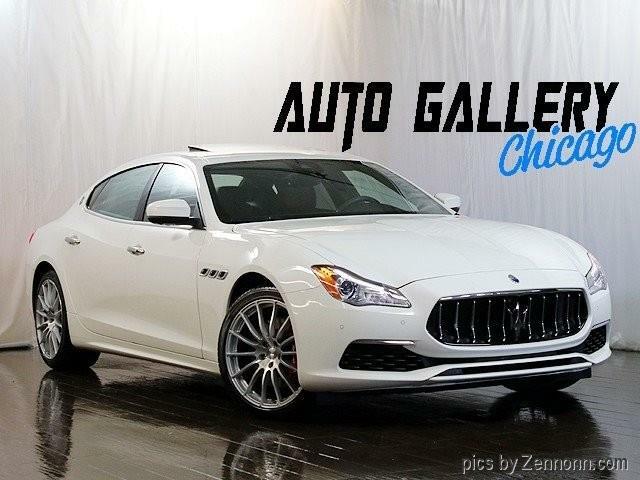 For more information on Gooding’s Scottsdale sale, visit the auction website.